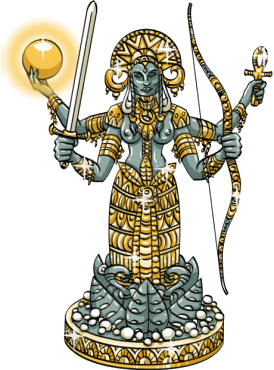 Lendera is the goddess of all adventurers and heroes. If she is in a good mood she is willing to bless your items. The blessings of Lendera are permanent and can be removed only by black magic or by one of the other gods.